Bromwell's Plumbing & Heating, Inc.
F.P.S. Heating and Cooling, Inc.
Sears Home Services of Washington D.C. Comment: heat pump does not come on. fan works. 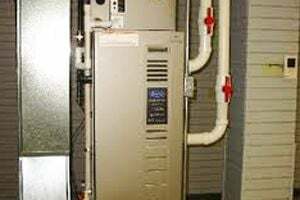 Comment: Looking for quotes to replace my existing aging Oil Furnace and AC units with a hybrid Heat Pump and Oil Furnace System. Comment: Repair if possible or replace Mitsubishi Mr Slim heat pump one unit model 410 no heating or cooling. Limited funds. Comment: My heat pump stops heating after a few minutes. I reset the power to get it to heat for a little while but it quit again. Comment: Our heat pump stops heating after a few minutes. Cycling the power made it work for a few minutes before it quit again. Westminster Heating & Furnace Contractors are rated 4.64 out of 5 based on 3,151 reviews of 27 pros. Not Looking for Heating & Furnace Systems Contractors in Westminster, MD?